Have Your Home Improvements Been Properly Permitted? Often in a residential real estate transaction, unpermitted improvements to a house are present. The seller may find that purchasers are unwilling to enter a transaction with these conditions. The buyer may not want the responsibility for obtaining permits for work done by others. Our clients who are parties to residential real estate transactions often encounter legal issues when home improvements are not properly documented by the municipality where the property is located. When a renovation is conducted, an inquiry should be made of the municipality as to whether a building permit is needed and application should be made for such a permit if required. The building inspector should review the work in progress to confirm that it is conducted according to the permit and once completed will issue a certificate of compliance or completion. This process insures that all work is done according to current building code and that licensed professionals conduct the work. Building permits and documents evidencing completed construction in accordance with the building permit, as memorialized in a Certificate of Occupancy or Certificate of Compliance, are necessary to protect both parties to transactions in New York State for the reasons to be discussed in this blog post. A great deal of the housing stock in New York is aged, being originally constructed several decades ago. If a house was constructed eighty (80) years ago, a certificate of occupancy would have been issued authorizing the home’s use as a one or two family house. There is also the possibility that the house is so old that it pre-dated the requirements for the issuance of a certificate of occupancy. In that case, the town will issue a letter that there is no certificate of occupancy on file because the construction pre-dated the requirement. If the buyer is impressed that the old house has been beautifully renovated and looks like new inside, that impression is an indicator that there should be an inquiry as to whether permits were required in that community for the work that was done, whether the permits were obtained, whether the work was done in accordance with the permits, and whether a certificate of compliance was issued. Either documents need to be evidenced that the town approved the house as currently built, or that documents were not required for some of the work. A review of the drawings on file with the town may reveal what the town approved and expects is currently present in the house. Each municipality in a County such as Westchester may have different requirements. For instance, one town may not require a permit to switch out bathroom fixtures while another may require a permit in the same situation. Specialized permits for electrical and plumbing work may be required for particular portions of renovations. Purchasers should find an attorney in the area where the house is located in order to have a familiarity with local requirements. A common situation involves the unpermitted addition of a bathroom in the basement, perhaps for convenience or because many older houses do not have the number of bathrooms that are desirable by today’s standards. Perhaps the buyer wants the bathroom to remain but does not want to undertake the work required to have the town approve what is already there. Provided that the house is not located in a town that has inspectors visit the house before closing, which visit may reveal an unpermitted improvement, the buyer may decide to close with the unpermitted bathroom remaining. The parties may agree to remove the bathroom fixtures and “cap” the plumbing until all inspections are completed and then to replace them after the closing. 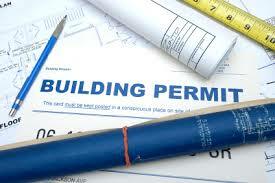 Skeptics may feel that building permits are merely a means for the town to collect fees. Although this is true to some extent, having a renovation properly permitted protects the home buyer. For instance, the permit will not be closed and the certificate of compliance will not be issued by the town unless the work is completed according to current code by a licensed professional. For instance, it is a safety risk for a buyer to own a house where the electrical work may have been done poorly by a layman, rather than by a licensed electrician. Besides the inquiries conducted by the buyer and her attorney, unpermitted improvements may be discovered in the following situations. The home inspector hired by the buyer or the lender’s appraiser may raise concerns. To protect the buyer, her attorney should include a provision in the contract that all improvements have been made according to municipal requirements and the seller will deliver all required certificates at closing. If the seller will not agree to this provision, the buyer should be concerned. After the contract is signed, the buyer’s attorney will then order a title report for the premises, which will contain municipal searches. Such municipal searches may show an open permit, meaning that the work was not completed. A closed permit with a certificate of completion for the master bedroom addition may be on file, which will provide comfort to the buyer. The certificate of occupancy may show a one family house that was identified in the contract as a two family house. In this case, the seller will most likely need to hire an architect to submit drawings and complete any renovation, such as adding another exit or enhancing fire safety standards, so that the house will be a legal two family. It is prudent to ask a seller if he has certificates for all renovations prior to starting the transaction, particularly if a real estate agent was not used by the seller. Experienced real estate agents often review with the seller and the municipality the very issues discussed in this blog post prior to marketing the property. Although the title company will insure the fee (real property) interest, municipal searches are for information only and will not be insured. The information provided in such searches is to be used by the parties. Some, but not all, lenders may not agree to close if there is an open building permit. In this instance, some sellers may not agree to complete the work required by the buyer’s lender. A seller may have arranged for a provision in the contract that his expense to legalize a potential unpermitted improvement is limited to a certain sum of money or that the improvement will be removed. This may be a valid resolution if the buyer is willing to have an illegal deck removed or receives a specified credit against the purchase price at closing. Our attorneys advise our purchasing clients that their lender may allow them to close with unpermitted alterations. Perhaps the seller takes the position that the house is sold “as is” and without promise to obtain the proper documents from the town. Once the buyer accepts the deed at the closing, she is legally deemed to accept the property and will have no claim against the seller for its condition. However, eventually the buyer, when selling or at an earlier time, may need to have the improvements properly documented. If the buyer did not do the work, he may not have the documents evidencing what was done. Further, the work may have been legal when done, but the building code may have changed since that time and require additional steps, such as obtaining architect’s or engineer’s drawings. We suggest that our clients obtain the permits and certificates at the same time that the work is conducted. Our firm evaluates these issues on behalf of buyers and sellers in residential real estate transactions. Please contact us if we may be of assistance.